In this podcast episode, Jake and Ryan discuss their planned link building strategy. This is simply the audio from their previously recorded and released coaching call. To watch the full coaching call, you can do so here. My comment is a bit off topic but I’m sure everyone would like reading it. 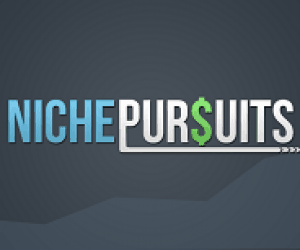 In my opinion, Niche Pursuit is the perfect example of how an EXCELLENT blog should be. I am an avid follower of your work and really appreciate the amount of time and efforts you have put in it. I will call it a big success if it manages to be even 5% of what Niche Pursuit is. A big salute to your hard work mate. Really good way for creating good backlinks. Nice sharing. Really useful podcast. I have read banklinko and heard a lot of these backlinking tactics before but I’m sure I am like a lot of other people out there and have not pushed hard enough and followed up on them. I did try broken backlink finding and outreach but soon gave up. Silly things is I actually got a couple of backlinks from it. I love creating websites and starting them off but I don’t really enjoy the work search for backlink process, I wish it was enough just to create nice websites with good content. I know however that backlinks are very important so I need to commit. Hi Spencer and Samara! What type of links do you use in your strategy? Is it just a link to domain or to a specific article when you post a guest post on another website? Thank you for the tips! I am a beginner of SEO and wanted to create a social campaign for my website. I never thought that podcast can help promote your brand in social media,so thank you very much , it’s a great help!